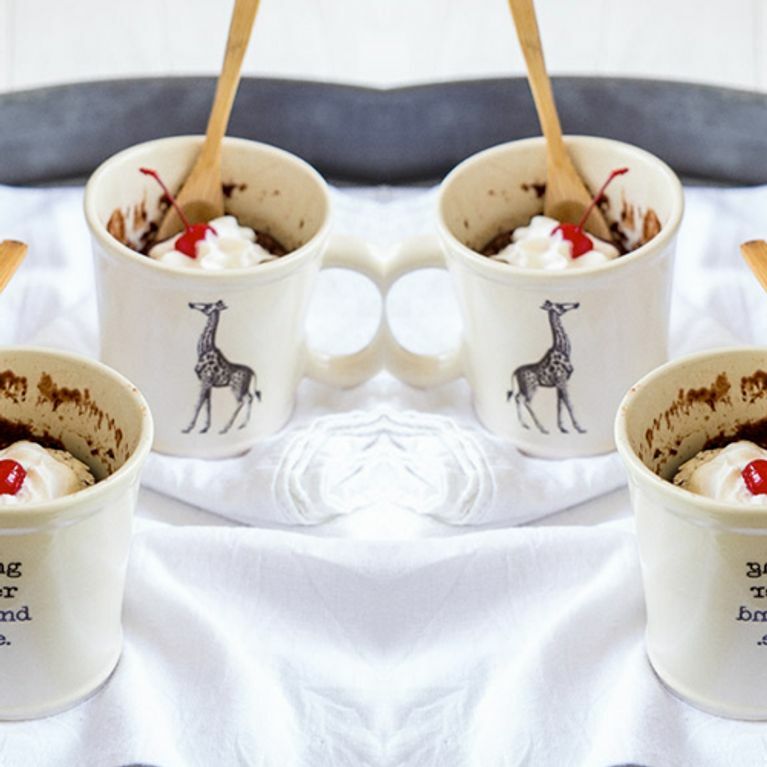 We don't usually promote microwave cooking, but for mug cakes we're willing to make an exception. These cups of delicious warm goo are quick and easy to make and totally ideal for those emergency cake cravings (don't act like you don't get them.). Here's 14 of our favourites. This chocolate mug cake is laced with peanut butter and topped with a fluffy peanut butter mousse. At only 5 minutes to make it's an absolute winner. Trust us when we say, this is the moistest mug cake you will ever taste. You're just 60 seconds away from warm, tasty pumpkin cake. Chocolate and peanut butter. This is enough to satisfy all our cravings. White chocolate chips in a red velvet cake...Don't think one mug will be enough. The answer to all your chocolate cravings. A warm, gooey chocolate chip cookie that only takes a minute to make. Chocolate cake with a cherry on top. Go on treat yourself. If you don't fancy chocolate, you can make carrot cake in a mug too.Yummy carrot cake. This ooey-gooey, yummy goodness is worth every calorie. Every single one. Because Nutella makes everything better. This moist, chewy mug cake is bursting with lemon flavours. Something about tart berries and sour cream just go so well together, add some sugar for a sweet kick.